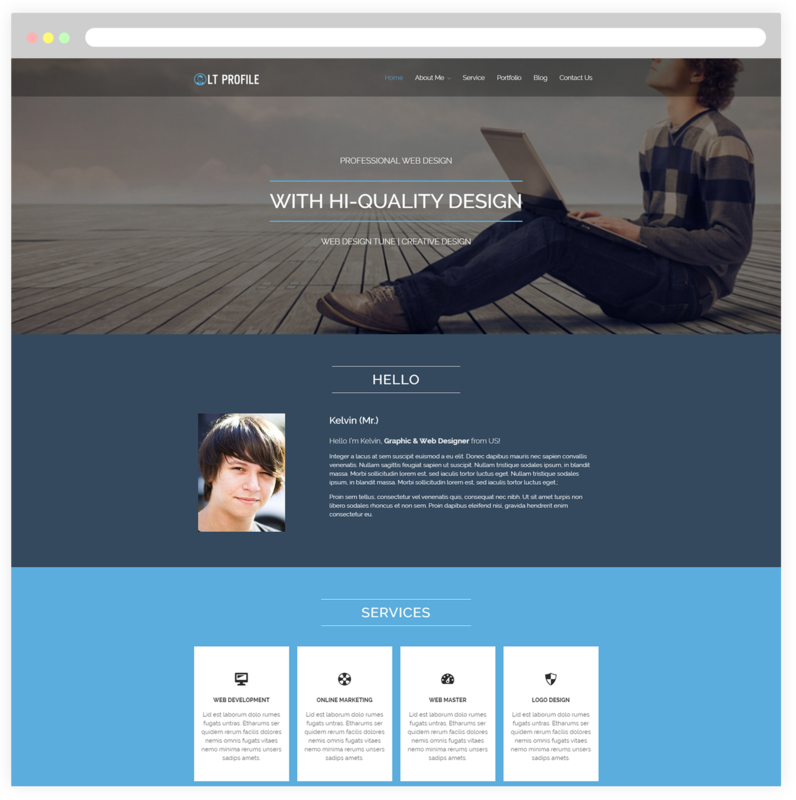 LT Profile is premium WordPress theme which is especially designed for you to create your own CV or profile websites. This theme offers you a way to display your personal detailed information as well as express your own ability and helps employers find the human resources. 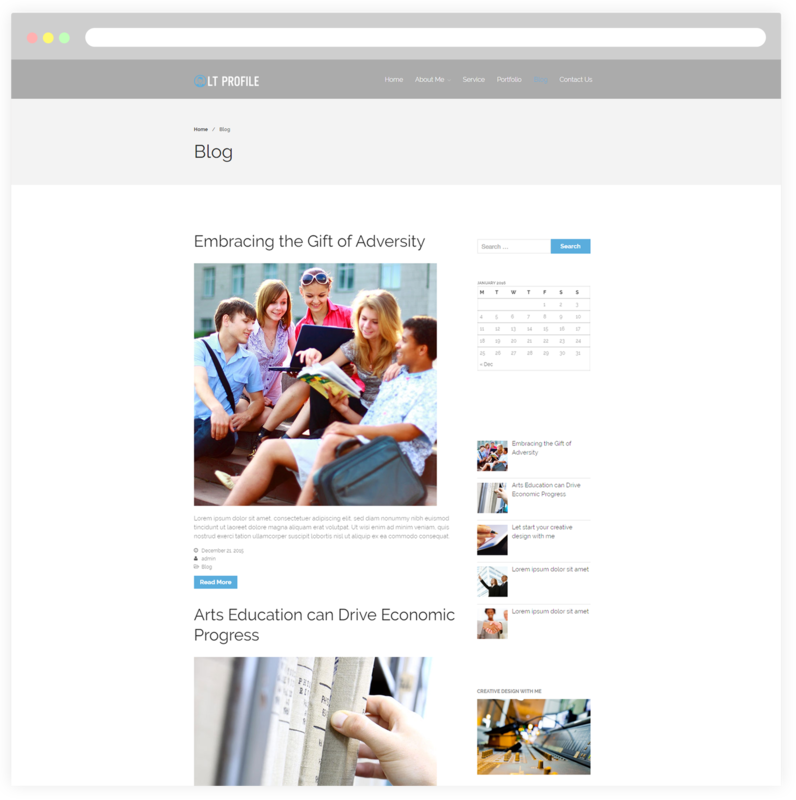 Your Profile site will be shown well even on any screen size of mobile device with responsive layout. Plus, template framework and many interesting features have been included in the package to make it easy for you to present and edit content. 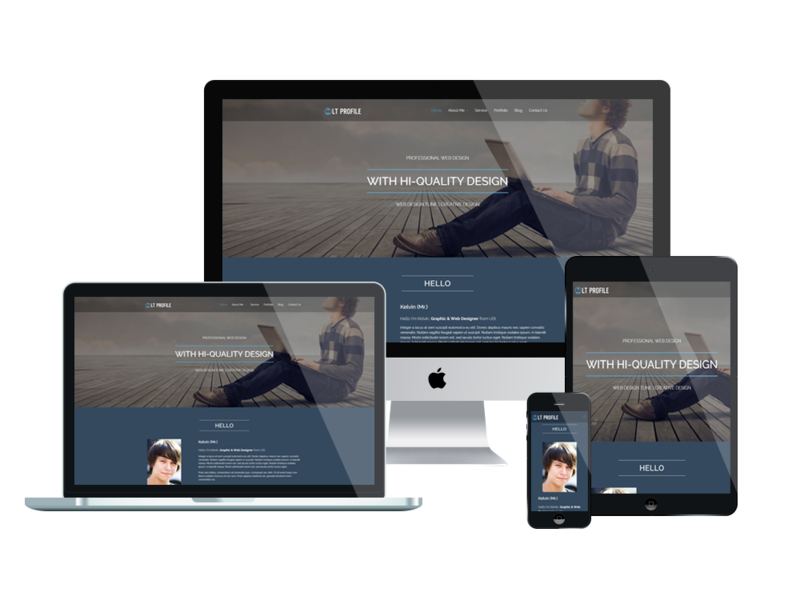 Create awesome appearance for your website with various layouts with amazing WordPress Profile theme. 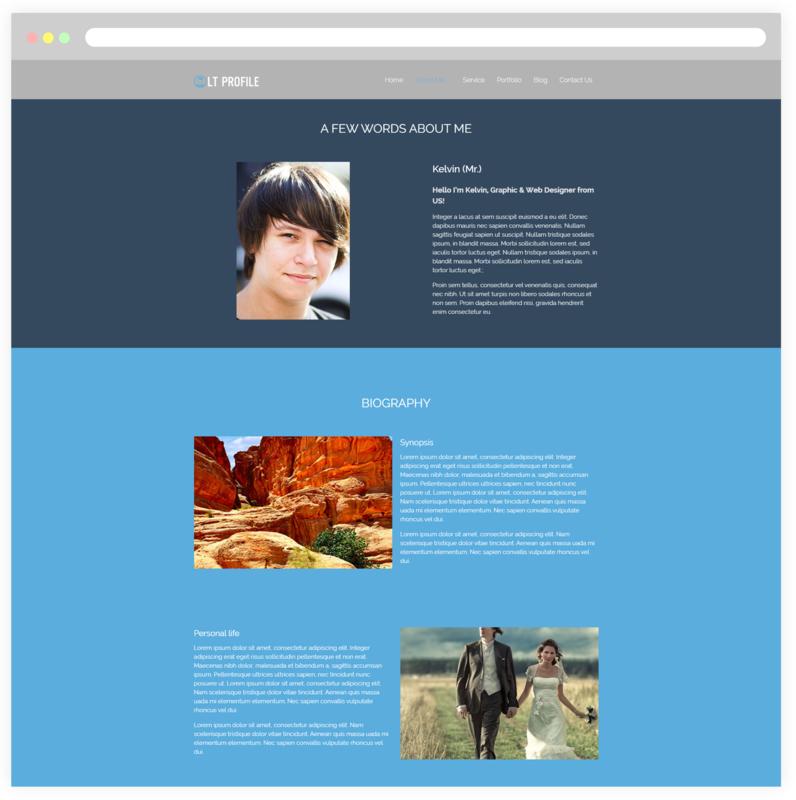 About this page of Profile WordPress theme, showcase your resume with the phase what you’ve worked until now. It will be the best way to help customers find out your potentials. 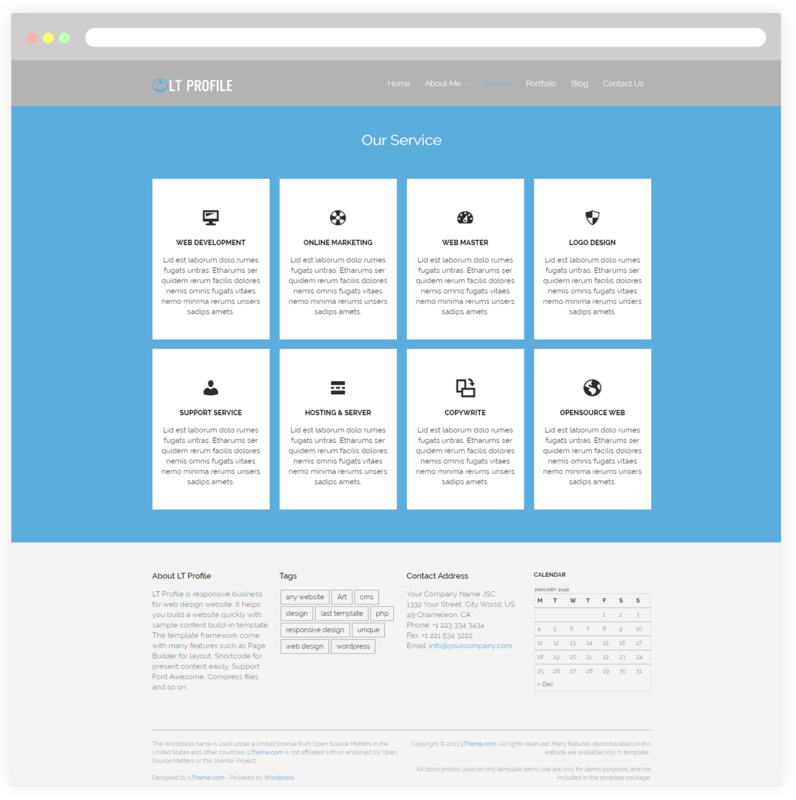 For services, you can list your business-related services in details such as branding, web design, marketing… by using their unique page template. 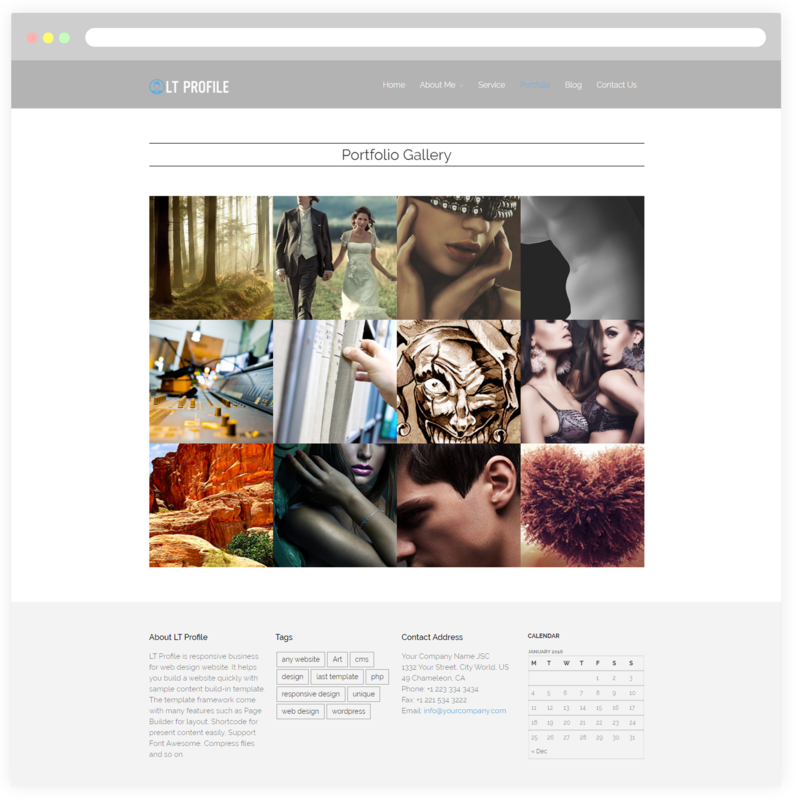 Portfolio page showcases energetic gallery about featured projects of your products. It allows you to display a variety of creative designs in professional manner for portfolio page. Write and share the latest news in the world on social network sites like Facebook, Twitter, Google+,… This is the best way to improve the relationship with your customers via blog posts. 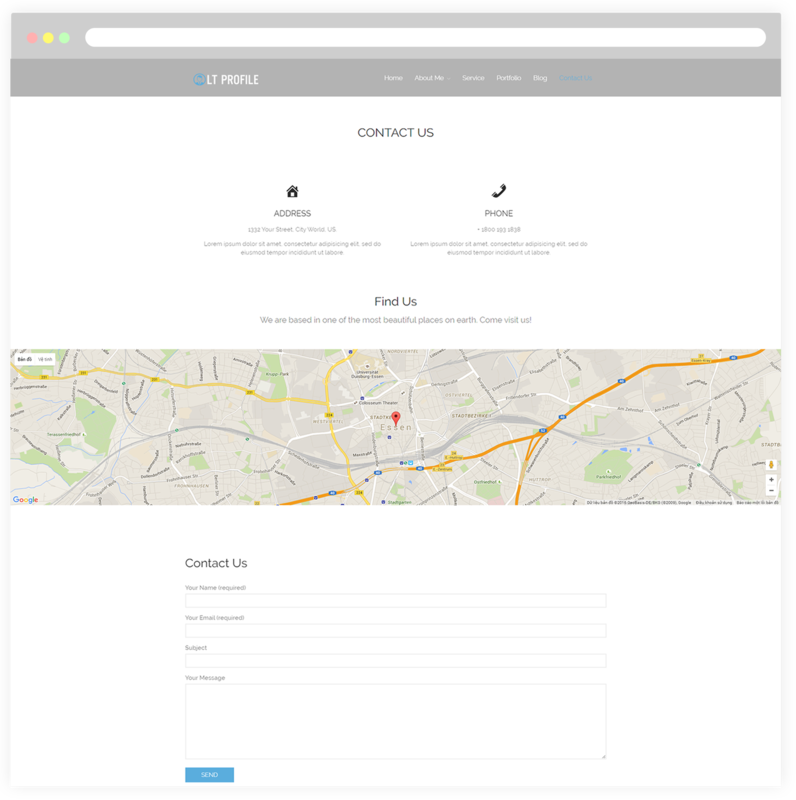 This page will help viewers easily send their feedback to you and quickly find the contact information about you.